LOL! I am so glad I'm not the only one! There is no perfect storybook day except for in story books. And yes, yogurt and cereal is an acceptable meal in our family too. I did believe you when I was reading the beginning of the post! And I was feeling envious of your awesome green day :) My days are closer to your actual days! Like you, I'm working a job and a half, and that doesn't leave me much time to bake bread or cook a lot. I just have to be happy with doing what I can now and looking for areas to improve in. Do what you have to do! I am feeling guilty right now because I can't carpool to a funeral in a nearby town on Monday. I think I'll work on some other ways to cut my car use - I can even it out. somehow. Lol, believe me, I have many days where there are pockets of greenness amidst lots of non -green. We do the best we can. And for the record, I'm grinding wheat against my will. I spent a hundred dollars on wheat from a local farmer last fall and feel obligated to use it even though the electric grinder my mom gave me bit the dust. So I've been using a manual grinder that my husbands parents gave us for Christmas one year, kind of a strange gift but Mormons (of which I'm one) are encouraged to store wheat in our food storage, so lots of people I know have one. I've been hoping I'd find an electric grinder on craigslist, but I think I'm going to have to bite the bullet on this one. My days as a Green Mom are similar to yours... mostly trying to make everything run smoothly and keep everyone happy whilst at the same trying attempting to make our lives environmentally friendly... So I really enjoyed your post. 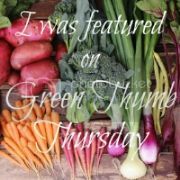 I must say that as a Green mom, I feel it's important that we share Great resources and information so that we can inspire others to make that extra bit of effort to be Greener. If your like me and always looking for a great Green store, I encourage you to try http://www.greeneutopia.com their products were very affordable, and many were made from recycled materials! Love it! Also they had some great info on new ways to reduce your carbon foot print! You know, telling the truth is worth a blue ribbon. Because then I don't feel so bad about all my muck-ups. The blogs I hate the most are those ones where the blogger in question always seems to get things right, have things under control, and never make mistakes. Which reeks of bad fiction to me. Ha - you had me going there for a minute, thinking that was a really great suburb (an oxymoron?). Actually, some of the inner-ring suburbs around here might be okay, if you (and your spouse) could find a job in the same suburb as your house. Adding kids to the mix (which we have not yet) definitely adds another layer of complexity. That you're conscious of the green and less green in your life puts you way ahead of many people. I am totally laughing about your walk. Last week on vacation I took my two kids on a walk that was supposed to last 20 or 30 minutes and it took more than 2 hours. You can not BELIEVE the whining my 5-year-old subjected me to during that time. She was so TIRED. Her feet HURT. This is BORING. And then she had the gall to race up the flight of stairs just before we arrived back at our townhouse, while I huffed and puffed and heaved myself up them. At least I tried, I say. I love the post! As Karen talked about we all seem to have a bit of green guilt going on lol. None of us are perfect but we are trying and that's what matters! As someone commented on my green day post, it's hard to have an authentic 100% green life. And you know what? I don't think I want too because my green day was super duper low carbon - I wrote about a 2 and 1/2 day blackout. It wasn't fun - I have an all electric kitchen (not my preferred choice) and everything food related was stressful. Hi, I followed a link here from the Carnival. Funny, honest post! Oops! Sorry, folks, I've been away for a while and haven't responded to comments...my apologies! Re the green guilt--yeah, I know, it's weird! To be real honest, it's not even guilt in the classical sense; I'm fairly content with how and what I'm doing, I think on some level it's more like "Oh geez, these other moms are so much better at this than I am, and if they knew what I screwup I often am, they Won't Like Me Any More"--which is very seventh grade, and I need to get over it. :-)I mean, I want to improve, of course, but I know I'm doing my best.